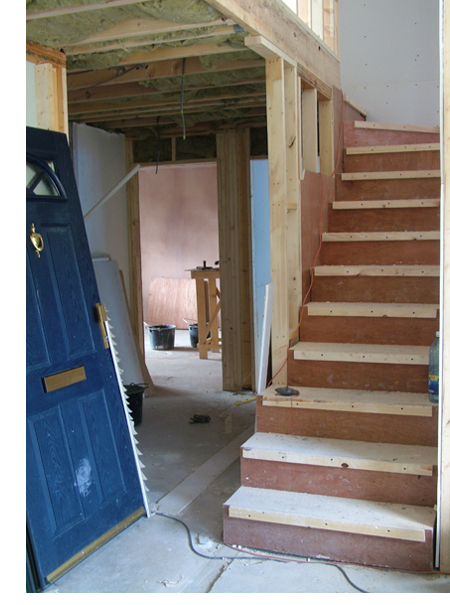 The stair structure has been constructed in situ. The plywood carcass will be finished with walnut treads and white painted risers. The concept behind the design of the stairs is to create a staircase that is subtly carved out of this corner of the entrance space so as to emphasise that in moving from ground to first floor, you are moving from the more open living spaces to the more private quiet spaces at 1st floor.